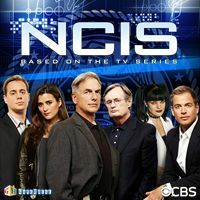 NCIS TV 2 (by Mr. Goodliving) — Mobers.ORG — Your Daily Source For Mobile FUN! 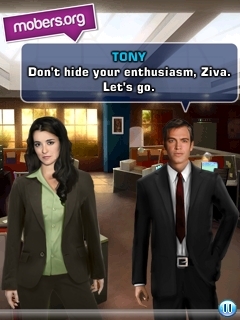 Put criminals behind bars as an NCIS agent in a gripping game based on the TV show! Join the Major Case Response Team led by Special Agent Leroy Jethro Gibbs and solve thrilling cases where following your gut instinct is as important as the evidence in front of you. Search the crime scene, collect evidence, examine the results in a lab and stake out possible suspects. Once you have all of the right pieces, bring them in for questioning and choose how to go about getting the information out of them. Be careful though, if you're too aggressive they won't give up anything. All the investigative fun takes place in an entertaining mix of action and mini-games like matching fingerprints, reconstructing chemical substances and even autopsies! Can you remember to follow Special Agent Leroy Jethro Gibbs’ rules and catch the criminals? * Five thrilling cases,developed with the show's creative team. 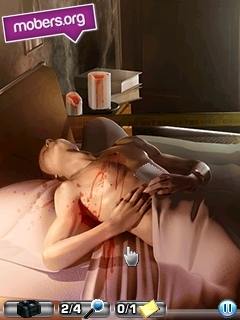 * Exciting crime scenes,filled with the evidence.Find the suspect by piecing it all together. * Engaging mini-games and challenging puzzles. * Character interaction : choose your strategy to get the most information. * Investigation and interrogation : figure out who the murderer is before it's. ALSO CHECK OUT "CSI Miami 2"